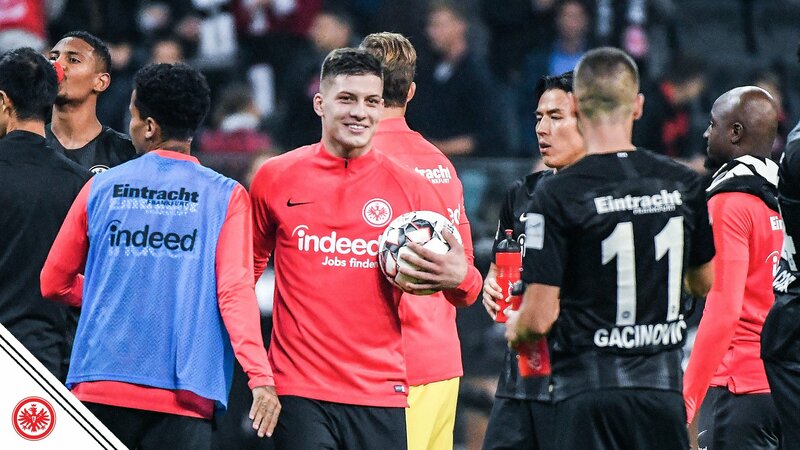 Eintracht Frankfurt youngster Luka Jović made Bundesliga history with a five-goal haul in a 7-1 demolition of Fortuna Dusseldorf on Friday. Frankfurt striker Sébastien Haller opened the scoring at the Commerzbank Arena via a penalty after 21 minutes. Jović doubled the lead with a stunning left-foot volley five minutes later, before the 20-year-old made it 3-0 in the 34th minute with a pinpoint first-time strike. Haller grabbed his second of the night early in the second half and although Dodi Lukebakio pulled one back, seconds later Jović completed his hat-trick before adding a fourth in the 68th minute and his fifth, with a header, shortly afterwards. Jović, who is in the second year of a two-season loan deal from Benfica, was replaced with four minutes to go, ending his hopes of a double hat-trick. The last player to score five times in a Bundesliga match was half-time Bayern Munich substitute Robert Lewandowski against VfL Wolfsburg in 2015.